Monero (XMR) is a beloved coin within the cryptocurrency community. Privacy features, ASIC-resistance, anonymity and decentralization made the coin one of the favorite children of the blockchain industry. However, similarly to most of the other coins, Monero is experiencing a tough period. Its price is gradually falling since January 2018. A lot of Monero price predictions show doubts about the future of the coin. Let’s take a closer look at the XMR price history and its Monero predictions. In early 2019, Monero is the most prominent privacy-focused coin on the market. It looks like the currency managed to become a face for the industry of private transactions. At the time of writing this article, Monero has a market capitalization of over 900 million USD. The coin rates 13 in terms of market cap. Dash, a coin with a little less emphasis on privacy but still paying large attention to it has a 100 million less in market cap. The closest coin fully specialized on anonymity, Zcash, has a market cap of 349 and pretty poor future price expectations. Monero has a number of significant advantages, driving its sustainable place on the market. Unlike Zcash, Monero has a development team that is not a public organization. Almost everyone among Monero core contributors are anonymous. It saves people the concern of the possibility of the blockchain being controlled by investors and directorial board. 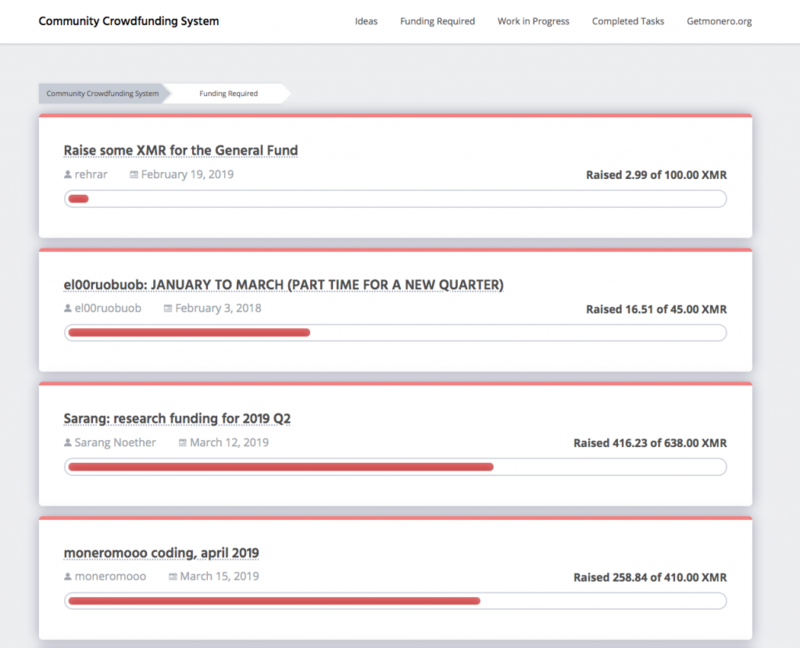 The Monero development process is funded by individuals all over the world and this is the great case of continuous and successful crowdfunded development. The development team of the coin also successfully works to maintain the security of the coin’s network. There were no significant troubles with Monero for a very long time. To this day there is no publicly known case of Monero users being exposed due to the flaw of the coin. Most of the privacy coins ratings place Monero as the #1 coin. 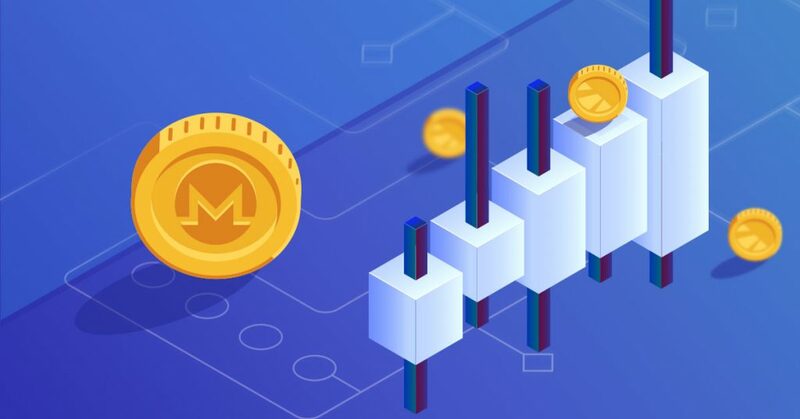 For example, both the masterthecrypto’s guide on privacy coins and xbt.net comparisons of the privacy-focused cryptocurrencies gave their preference to Monero. Monero’s price history is in the dark period. Despite several price peaks, the coin lost a lot of its monetary value over the course of 2018. The overall market downfall damaged nearly every coin and Monero was no exception. Drawing XMR price predictions today is especially difficult due to the market downtrend. Long-term Monero price predictions, made with technical tools show that the most probable outcome for the coin is a continuous decrease in price. 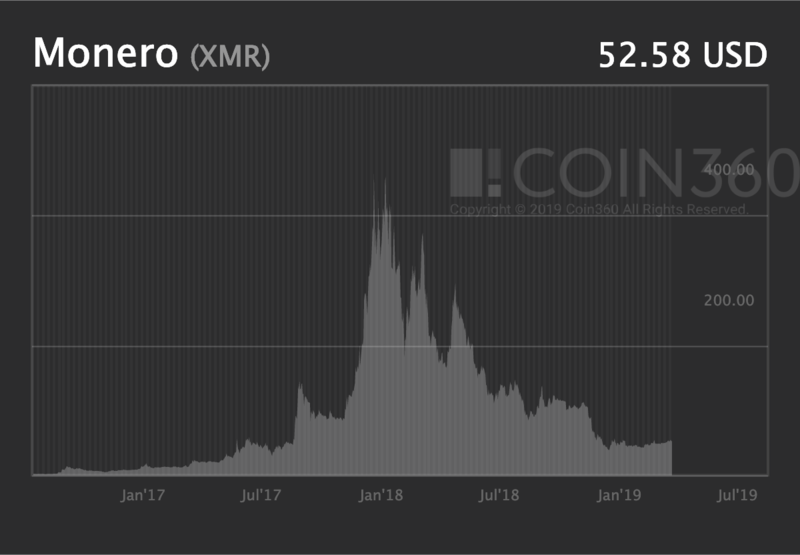 Still, the Monero price chart shows that the coin found a stable place at the start of 2019. Again, similarly to other coins. The main question is will the cryptocurrency market grow again and how would Monero benefit from it. There is a good chance that the coin will be one of the biggest gainers of 2019. The coin is universally known and has an almost exclusive level of trust. According to the Google Trends service, Monero is popular worldwide. The coin is an interesting asset for people of the Netherlands, China, Venezuela, a big part of Eastern Europe and other countries. The overall search interest of the coin clearly reflects the coin’s price downfall. Monero got through a couple of significant upgrades over the course of the year. Implemented Bulletproofs – a technique that protects the network from being inflated by a sending of a negative balance in transactions. Subaddresses implementation and numerous privacy improvements. You can read more about the features below in the Year Review offered by Monero. Hard work performed by the development team of the coin is a significant advantage at the start of the year. Monero predictions, made based on the currency’s technical sophistication are very promising and it significantly drives XMR price predictions for 2019. It also helped the coin not to lose its position on the market. Despite losing over 6 billion USD of capitalization, Monero still holds the position of the top-13 coin of the industry as it was at the start of 2018. Some of Monero price predictions are quite bullish. For example, Smartereum.com writes about the price of XMR of 650$ for 2019. The Smartereum team also makes a long-term Monero price prediction for 2020, when forecasts a price of over 2000$ per coin. On the other hand, the u.today portal makes much more restrained XMR price prediction, where speaks about strong support near the price of 42$, 10$ lower than the price at the time of writing this article. Our forecast is a moderate and rather slow price growth of the coin. In case the coin manages to keep its market position, it will surely become the prominent beneficiary of the likely future market growth. The most likely Monero price prediction for 2019 is an increase in price, coming back to 100$ per coin. For most of the year, the price of XMR will be close to 70-75 dollars.